Last week we made it down through the Icteridae – Oropendolas, Orioles & Blackbirds Family to the Red-rumped Cacique. That was just about of a third of the 109 members of the family. 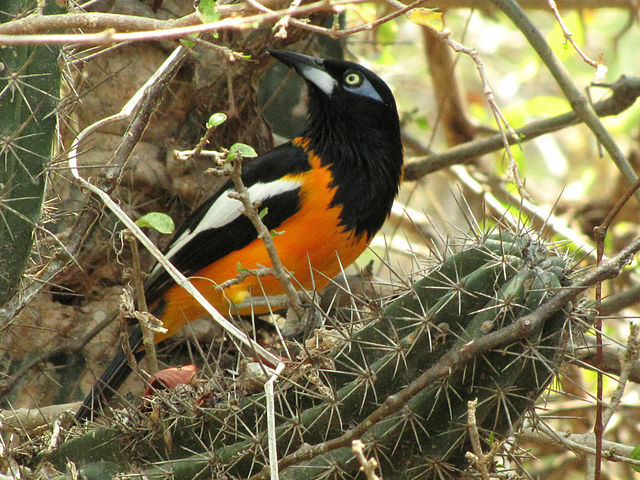 Now the list will start with the Icterus genus, which are Orioles. In fact, those are all we will look at today. 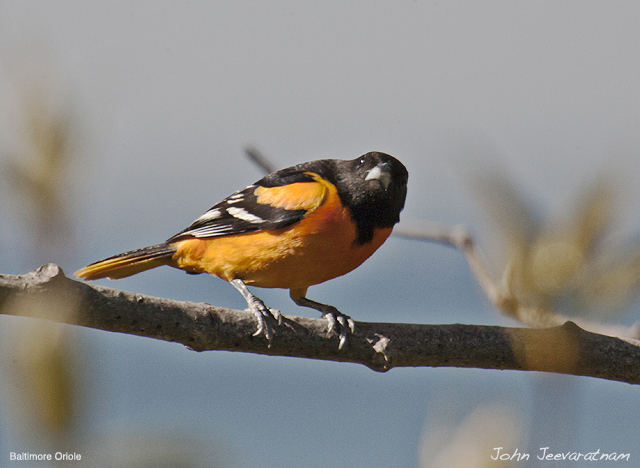 There are 33 species in that genus and most of them are orioles, except for three Troupials. Troupials (turpial in Spanish), were formerly considered one species. The males are typically black and yellow or orange, with white markings; the plumage of females and immature birds is duller. These birds go through one moult in a year. They are generally slender with long tails and a pointed bill. They mainly eat insects, but also enjoy nectar and fruit. The nest is a woven, elongated pouch. 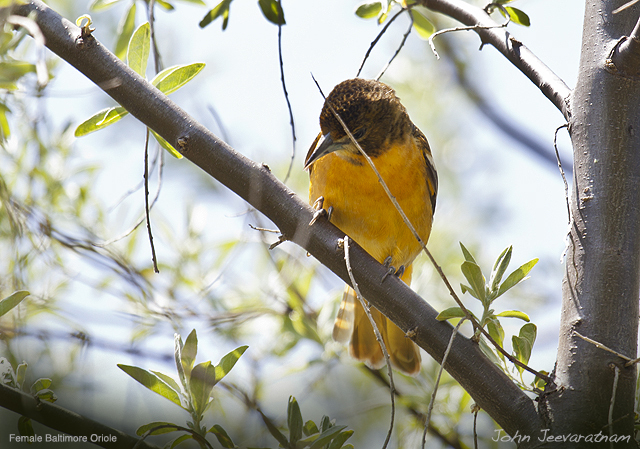 Several species are easy to attract to bird tables by the provision of cut oranges and grape jelly. Species nesting in areas with cold winters (including most of the United States) are strongly migratory, while subtropical and tropical species are more sedentary. 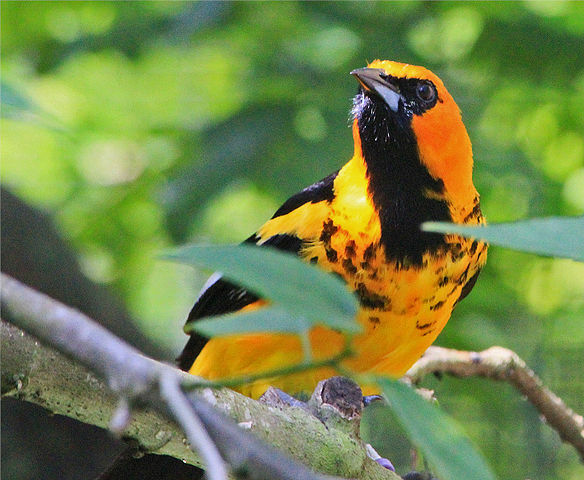 The name “oriole” was first recorded (in the Latin form oriolus) by Albertus Magnus in about 1250, and was stated by him to be onomatopoeic, from the song of the European Golden Oriole.